When it comes to your eye health, we here at TOC Eye® aren’t simply focused on correction; we also stress prevention. 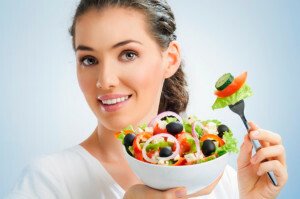 Did you know that diet and nutrition can have a major impact on eye health? Adapting your diet to include essential eye health nutrients could mean the difference between vision health and vision correction. Vitamin A: A diet rich in vitamin A can help protect you against cataracts and macular degeneration blindness, in addition to having a direct impact on the health of the cornea (surface of the eye) and helping avoid infection. 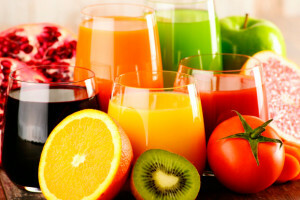 Vitamin C: Fruits and vegetables provide excellent sources of vitamin C, an essential nutrient for eye and general health. 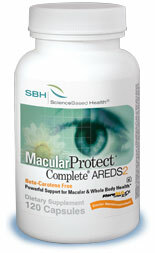 Vitamin C can reduce your risk of cataract development and macular degeneration. Vitamin D: In addition to helping you maintain strong, healthy bones, vitamin D can reduce your risk for macular degeneration. Although you can easily fit vitamin D into a healthy diet (salmon, sardines, milk, etc. ), direct exposure to sunlight is the best way to absorb vitamin D. But be sure to wear sunglasses! Carotenoids: Kale is a superfood that’s all the rage in health stores across the country. It’s packed with lutein, a carotenoid with a number of eye health benefits, including reducing your risk of developing age-related vision conditions like cataracts and macular degeneration. A diet rich in carotenoids like lutein and zeaxanthin can have a great impact on vision health. Beta Carotene: You may have heard that eating carrots is good for your eyesight and can help you see in the dark. Although this is a myth, it’s not entirely untrue. Carrots are packed with vitamin A and beta carotene, another eye health nutrient. Like vitamin A, beta carotene can reduce your risk for developing cataracts and macular degeneration. Omega-3 Fatty Acids: Fat may be something of a dirty word, but not all fat is bad fat. You’re probably aware that omega-3 fatty acids are great for heart health, but they also contribute to healthy eyes by preventing macular degeneration and dry eye syndrome. If you’d like to learn more about how to protect your eyes with an eye-friendly, nutrient-rich diet, call us today at 631-751-2020 or contact us via our web form. We’d love to hear from you!